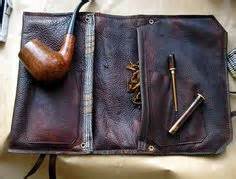 Shortly after Captain Hall had shut the door behind her, Collier retrieved his pipe and pouch of tobacco from the side drawer of his desk. Filling his pipe he returned the tobacco to the drawer and walked over to the window. He hadn’t smoked in several months but as he drew in the smoke and purged it through his nostrils he found it soothing almost liberating in its effects. Experience had taught him that the unexpected always happened and, no matter his attempt to deny it, he had self-imposed a discomforting litany of cruel possibilities for his son’s fate. He understood the difference between what he could affect and what he couldn’t. Still, he found it agonizingly difficult to not only reside in absolute secrecy but to relinquish control of his son’s fate to another. He walked back to his desk and sat down. Collier had no direct experience in the kind of battle Captain Hall was about to wage because her battle would be fought in the shadows of the garden of beasts. And the special set of skills of cloak and dagger inherent in her, he knew he did not possess. Yet, there was commonality joining them. It existed in the hot blood coursing through their veins and the shared knowledge that losing was far more dangerous an option than winning. An hour had drifted by unnoticed since Captain Hall’s departure and he snarled at himself for allowing such a wasteful lapse in time. The public and newspapers had let up somewhat on the Rebecca Grynberg Case. But, like hot coals, their stinging words had left their mark on the unsolved investigation. Now, with the Wardrobe Steamer Trunk Case, he had a second murderer on the loose and sparse resources for follow up. Hoping for a break in at least one of the cases, Collier grabbed the phone book from the table behind him and began to slap through its pages, stopping long enough each time to record two numbers on his ink pad. His first call was to the Bournemouth train station. Robert Shaw, who was the shipping agent, told him that November 16 was one of his slowest days of the month and, as a result, he remembered the wardrobe steamer trunk quite well. When Collier asked him if he could describe the person who sent it, he assured him that he could and went on to explain why. According to Shaw, the elderly Scottish chap, who owned the trunk, was associated with the London Corinthian Theatre. This news had garnered great interest for Shaw because he had been one of the Theatre’s original members in the Cambridge play-reading group and, as a result, knew the Theatre’s founders: Jonathan Doone and Archibald Medley. The lengthy exchange of catch up history which had ensued between them ensured that the trunk owner’s image was securely locked in Shaw’s memory. Assured of Shaw’s willingness to wait at the station until a constable arrived, Collier made his second call to Andre Bertillon owner of the Bertillon Art Studio located in town. Though a commercial artist, Andre was a damn good forensic artist, too. His sketches had helped Collier to develop leads with subsequent identification and arrests in three previous cases. He held his breath as he waited for Andre to pick up at his end. Christmas was only a couple of weeks away and he knew that Andre would most likely be short on time. After the tenth ring, Collier was about to hang up when he heard Andre’s voice. Keeping his conversation brief and to the point, Collier explained the urgency of his call while sweetening his request for assistance by suggesting he would add a few more quid to Andre’s usual stipend. A short squabble ensued over the exact amount to be added until Collier finally complied with Andre’s demand. Though the amount was greater than he would have liked, Collier was satisfied that it would be money well spent. Hanging up, Collier called Constable Dubin into his office. He briefed him on the Wardrobe Steamer Trunk Case and then sent him on his way to pick up Andre for their interview of Robert Shaw. 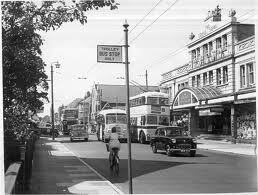 Collier let out a long sigh as he looked at the map of Bournemouth on the wall opposite the window. His decision to have all males over the age of sixteen fingerprinted in the Rebecca Grynberg Case suddenly felt daunting. He knew, though, that if ‘Queenie’ was right, it might very well save the lives of two young Jewish children slated for death by the same hand that had murdered Rebecca. Are ‘Queenie’ and her husband hiding those children and their parents? He thought. The porcelain doll and child’s blanket found at the Stoddard’s residence points in that direction. Or, are they already dead? Bloody hell! People as well known as ‘Queenie’ and her husband don’t just disappear into thin air without someone seeing them. Pushing the intercom button, he asked Sergeant Snowden to bring in the electoral register. He was about to make what he knew would be a very unpopular decision. Scrooge would be the kinder of labels he expected soon to be thrust on him. He picked up the phone book and threw it toward the door that Sergeant Snowden had just entered through.